Purple or white usually available,. 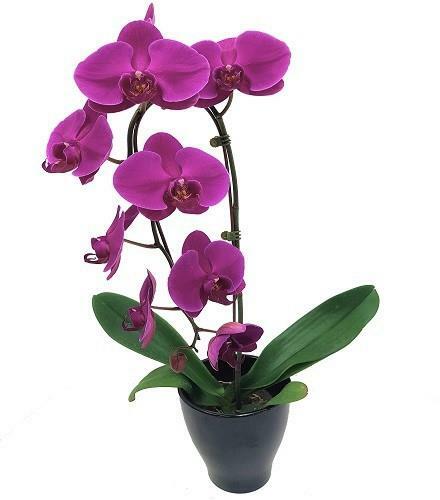 Very long lasting exotic orchid plant in ceramic. Easy to care for. Pot cover may vary and may be black or white.